"OMG, this is so cute, I love it!" From former Simpsons animator Dante Fabiero comes a charming collection of comics about an ambitious little sloth named Slothilda. Pursuing life goals can be challenging, but they're even harder when you're a sloth. Struggling to overcome procrastination, a love for junk food, and her addiction to modern-day technology, Slothilda shows us that living the sloth life isn't always so easy. 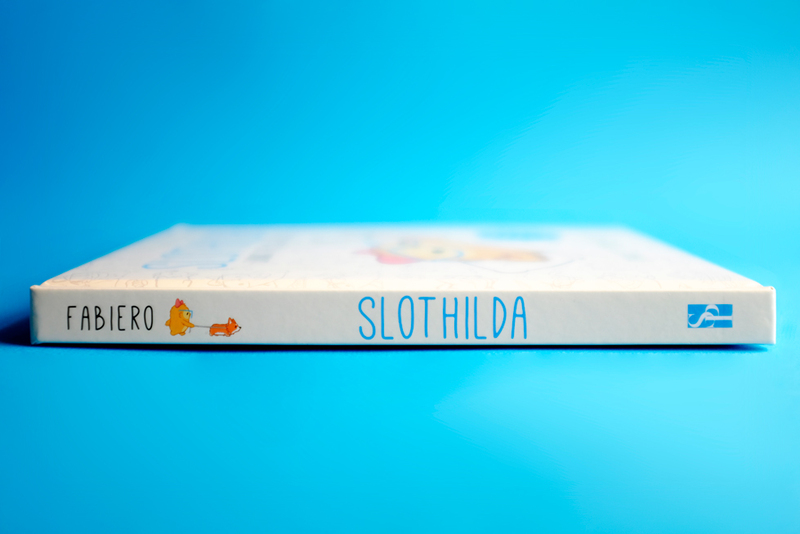 Slothilda explores an inner conflict we can all relate to―the desire to succeed and grow, while paradoxically dealing with the ever-present temptation to sloth. Watch as she takes on work, fitness, food, shopping, home-life, and pets. 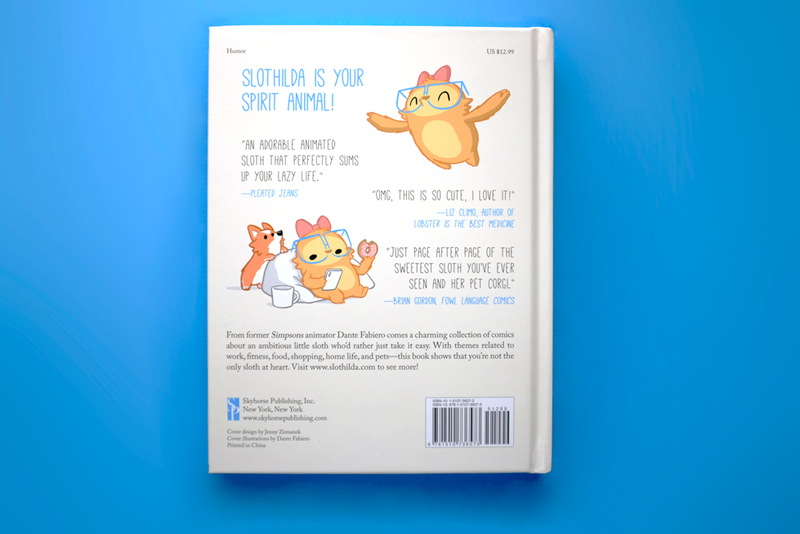 This lighthearted and optimistic book shows that you're not the only sloth at heart. "The first book from a young author shouldn’t be this well done, and yet here it is. Just page after page of the sweetest sloth you’ve ever seen and her pet corgi, Peanut. Honestly, I have no idea how Dante was able to make the daily adventures (and struggles) of Slothilda so adorable, cute, and funny, but I’m sure glad he did." "I really enjoyed this book, particularly the parts featuring Peanut the corgi." 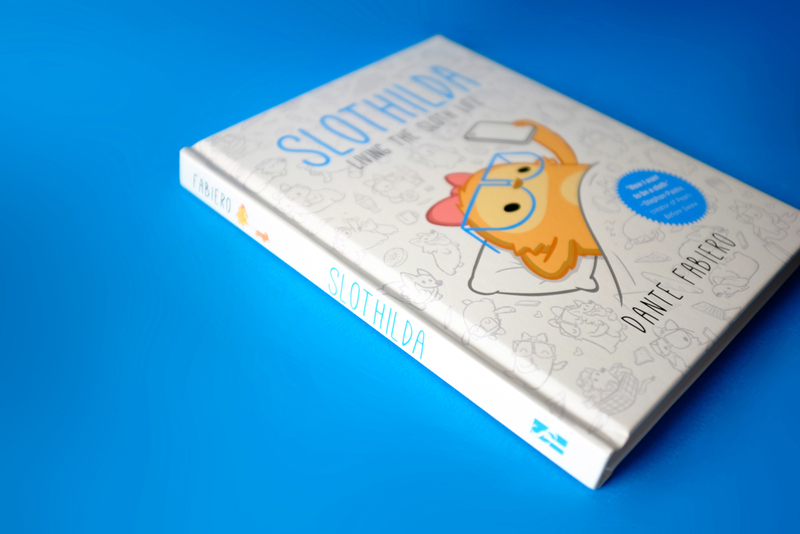 "Slothilda combines the cuteness of Hello Kitty with the laziness of Homer Simpson." "An adorable animated sloth that perfectly sums up your lazy life." "There's a little Slothilda in all of us. She struggles with aspects of life that are universal, but she does it in the most adorable way! A great gift for any human who likes delightfully relatable content!"